Well I have not been doing very much stitching in these last few weeks. 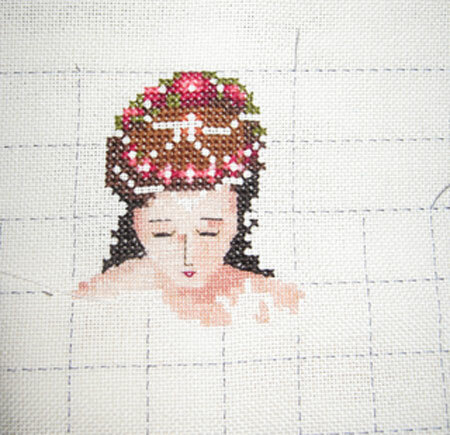 I have, however, stitched a bit on my Mirabilia SAL that I am doing with Jill. Not a huge amount done. I very stupidly decided to stitch the skin with one thread over one. So it is taking a while. Also with great excitement one of my chooks has started to lay eggs. 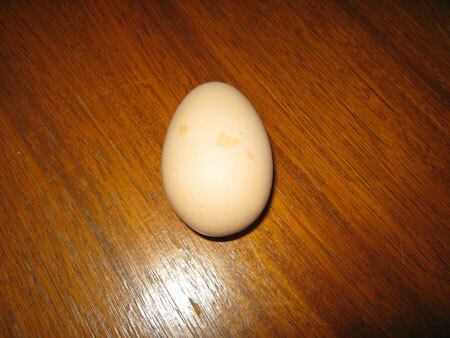 Bertha is an Australorp and they are reknowned for being good layers. She is also going to be a broody girl as I found her nest outside the pen and she was sitting on 2 eggs. I had to move her to get them. I don't think I was her favourite person. She has been laying an egg a day. I am hoping that it will inspire the other 3 chooks to start laying. I did take a picture and was really thrilled to find out when I used it that she had layed me a double yoker. What a girl! That is a lot of one over one stitching but it will be beautiful when done. Yea on the egg!